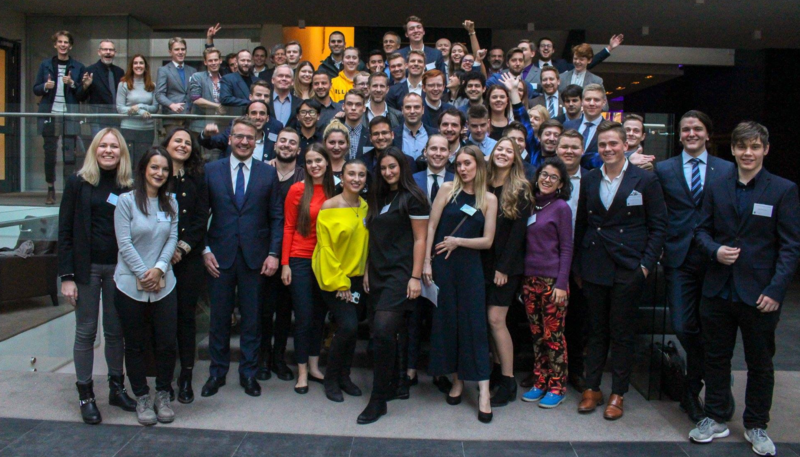 More than one hundred people attended the regional meeting of European Students for Liberty, Nordic Students for Liberty and the Icelandic Association of Liberal Students at Grand Hotel in Reykjavik 22 September 2018. The chief local organisers were Magnus Orn Gunnarsson, Marta Stefansdottir and Sigurvin Jarl Armannsson. Between twenty and thirty students from abroad participated in the meeting. Vera Kichanova gives an account of Putin’s Russia. Many topics were covered in the programme. Before noon, Professor James Lark III from the US spoke about “Economic Fallacies: Discussion of Some Common Fallacies and Misconceptions about Economics”. 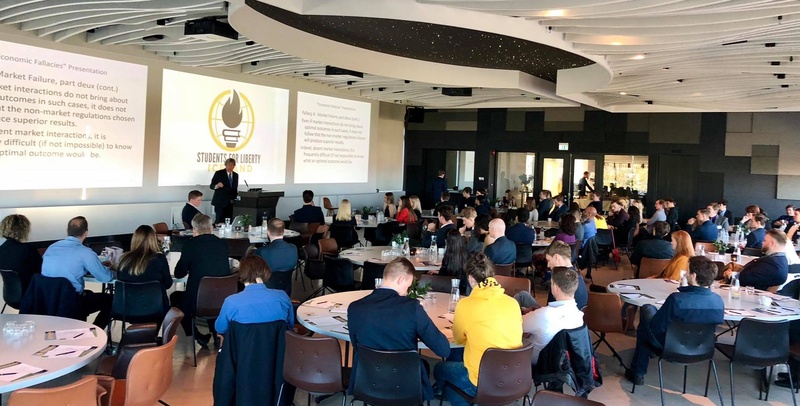 Lark was also a speaker at the first ESFL regional meeting in Reykjavik. Kyle Walker from the US then spoke about “Ideas and People: How SFL is Changing the World”. In the first afternoon session Gil Dagan from Israel spoke about “How free trade can help the Middle East” and the US social media activists Matt B. and Terry Kibbe about “Reaching skeptics with liberalism”. Matt Kibbe is the author of the 2014 bestseller Don’t Hurt People and Don’t Take Their Stuff: A Libertarian Manifesto. In the second afternoon session Bill Wirtz from Luxembourg spoke about “The European Case Against the European Union”, Grace Morgan from the US about “IGO Watch: Global Taxpayers at Risk”, Vera Kichanova from Russia about “Fighting the Russian Leviathan: Libertarians against Putin” and Professor Antony Davies from the US about “Cooperation, Coercion, and Human Development”. Icelandic Foreign Minister Gudlaugur Thor Thordarson contributed some final remarks. 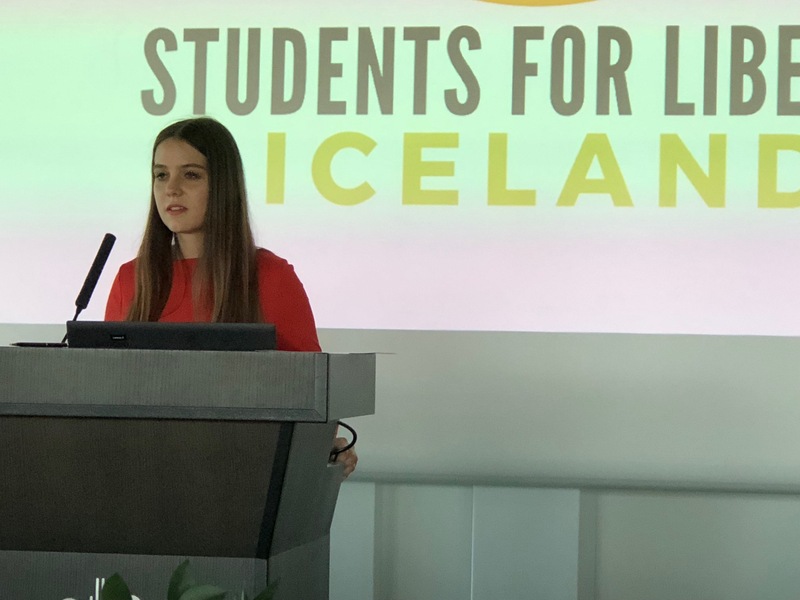 RNH has regularly supported the regional meetings in Iceland of the European Students for Liberty. This is the fifth and so far the best-attended ESFL meeting in Reykjavik, and the participants were in good spirits. Friday night RNH Academic Director, Professor Hannes H. Gissurarson, invited all speakers, local organisers and foreign participants to a reception at his home, and Saturday night all participants met at an Open House. The day after the meeting the foreign students went on a ‘Liberty Trip’ outside Reykjavik, looking at geysers, glaciers, waterfalls, lava fields and other natural wonders in Iceland. The support by RNH of the ESFL regional meetings forms a part of a joint project with ACRE, Alliance of Conservatives and Reformists in Europa, on ‘Europe, Iceland and the Free Market’. Lark giving his talk at the meeting. Johann Ari Sigfusson in the chair.